However, astronomers have dismissed the claims as pure nonsense. The bizarre rumours centre on a phenomenon called the 'lunar perigee'. The moon's orbit around Earth is not a circle, but an eclipse. At its closest approach - the perigee - the moon appears brighter and larger in the sky. When it is furthest away - the apogee - it is smaller and dimmer. A lunar perigee occurs once a month. However, next week's perigee coincides with a full moon - a combination of events that happen just once every two or three years. Although it makes a good photo opportunity for astronomers, scientists say it has no impact on Earth. But the Internet is awash with conspiracy-minded amateur scientists warning that such a 'supermoon' could disrupt Earth's climate patterns and may even cause earthquakes and volcanic activity. Previous supermoons took place in 1955, 1974, 1992 and 2005 - all years that had extreme weather events, the conspiracy theorists say. 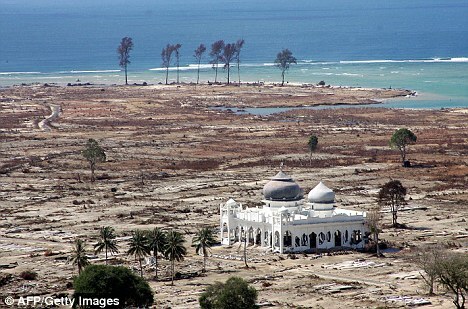 The tsunami that killed hundreds of thousands of people in Indonesia happened two weeks before the January 2005 supermoon. And on Christmas Day 1974, Cyclone Tracy laid waste to Darwin, Australia. But Pete Wheeler of the International Centre for Radio Astronomy greeted warnings of an impending apocalypse with scepticism. 'There will be no earthquakes or volcanoes erupting, unless they are to happen anyway,' he told news.com.au. 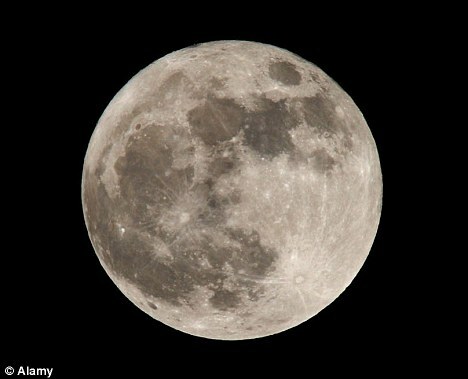 Australian astronomer David Reneke agreed, pointing out that conspiracy theorists will always be able to find a natural disaster to link to a certain time and blame it on a supermoon. 'If you try hard enough you can chronologically associate almost any natural disaster or event to anything in the night sky - comet, planet, sun,' he said. 'Remember in the past, planetary alignments were going to pull the sun apart. It didn't happen. Astrologers draw a very long bow most times. During a full moon, the sun and the moon are pulling on Earth from opposite sides - making the chances of any dramatic tidal events unlikely. On average the moon is 235,000 miles away. 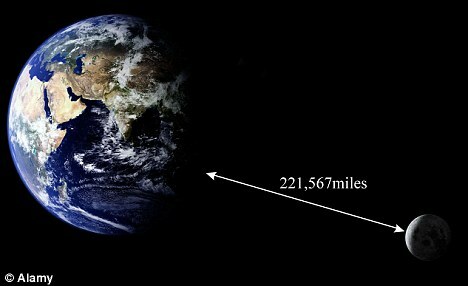 At its furthest it is 248,000 miles away. During a lunar perigee and full moon, the lunar surface can appear up to 14 per cent bigger and 30 per cent brighter than other full moons.